It’s more than a couple of weeks since Halloween, so time to recap! 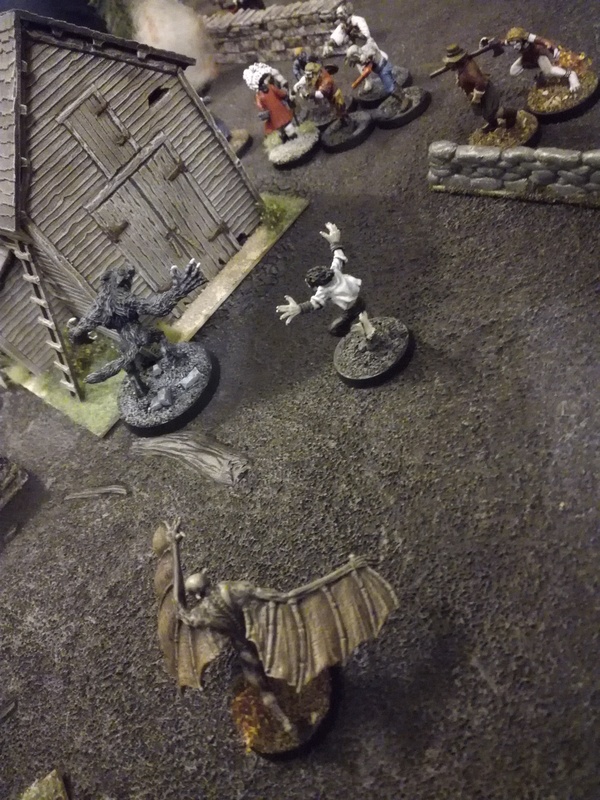 As is tradition, I put on a horror themed miniature game for my friends, which in turn was a good incentive for me to get some vampires painted. These two ladies are part of Bad Squiddo’s My Last Sunrise line, and they’re lovely! I showcased the third one in a previous post. 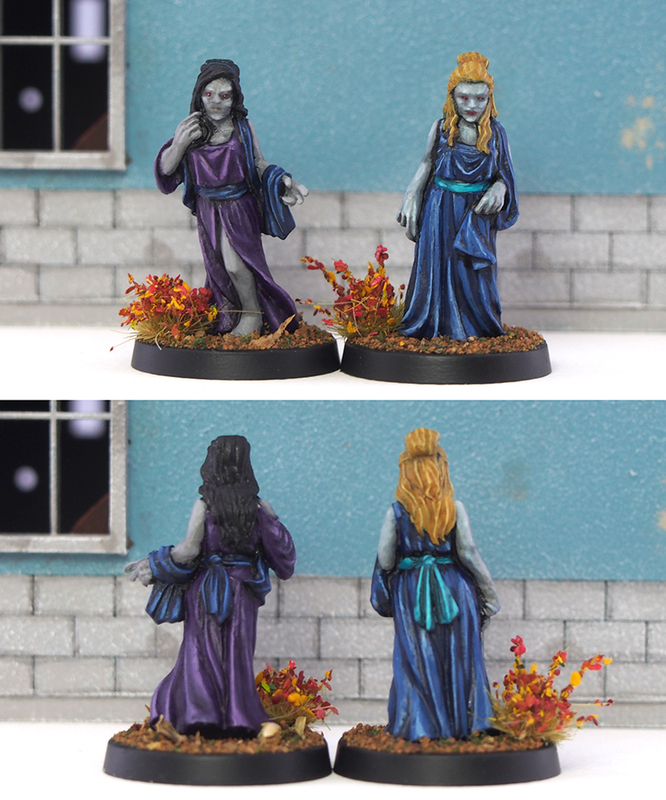 Long, flowing robes and clean sculpting (courtesy of Gus Kearns) made these really fun to paint. 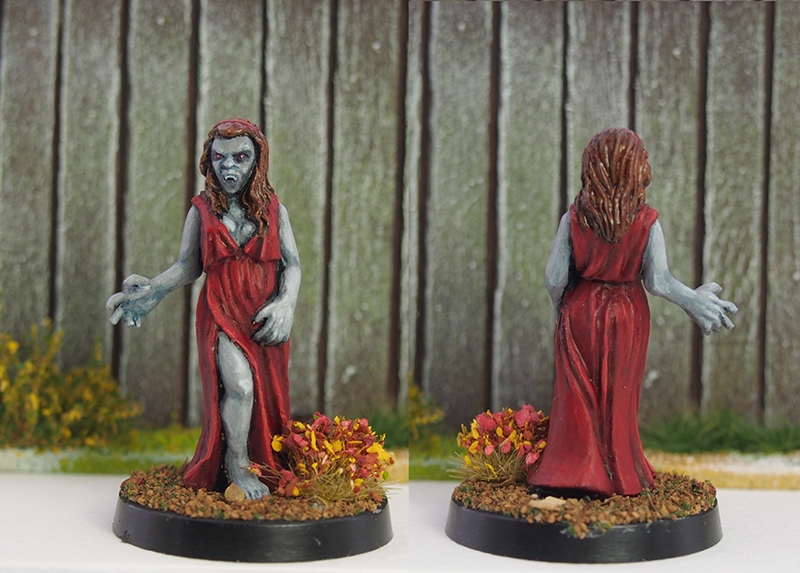 Again, I went with a very grey skintone – I had both corpses and statues in mind. 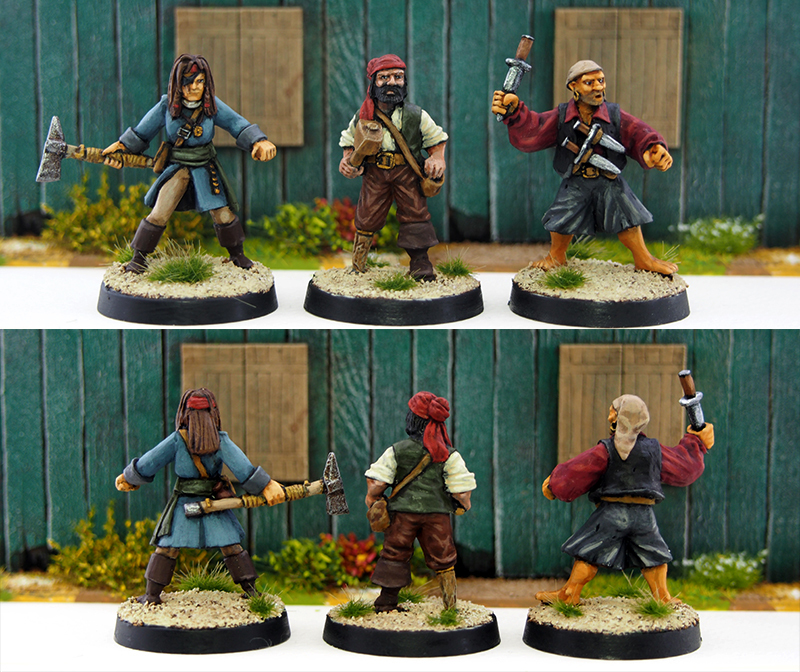 I painted the robes in bright colours to counterbalance the grey skin. The painting isn’t as smooth as I’d like – it was a bit rushed so the blending is just not there especially on the blue dress. 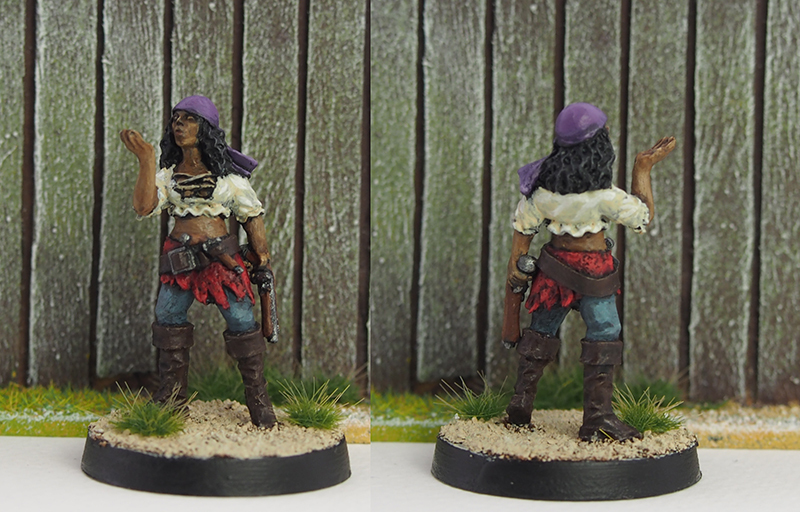 Other than that, they’re ok.
Another miniature from said Kickstarter campaign, this one needs no introduction. He’s obviously the big D, Dr. Acula, Alucard, the mysterious owner of Carfax Abbey…so yeah Dracula. A quality sculpt by Gary Morley and a easy to paint mini, I’m quite happy. As with the notorious cloaker, I went with a very, very classic look with red cape linings and all. I went for a more human – if pale – skin than with the brides, to represent Dracula being a bit more sophisticated and trying to blend in with humans. This one is from Reaper, and documentation in this blog reveals that I bought the mini…nine years ago, back in 2009. Sheesh. Well, after nine years of waiting, she’s now finally painted! As you may have noticed, I love painting red, so I went with that here as well. It was a quick, rough-ish paintjob but I feel it does the trick. After all those years in the cupboard I’m just happy that the mini is finished. It’s still a pretty neat sculpt, so kudos to Derek Schubert! 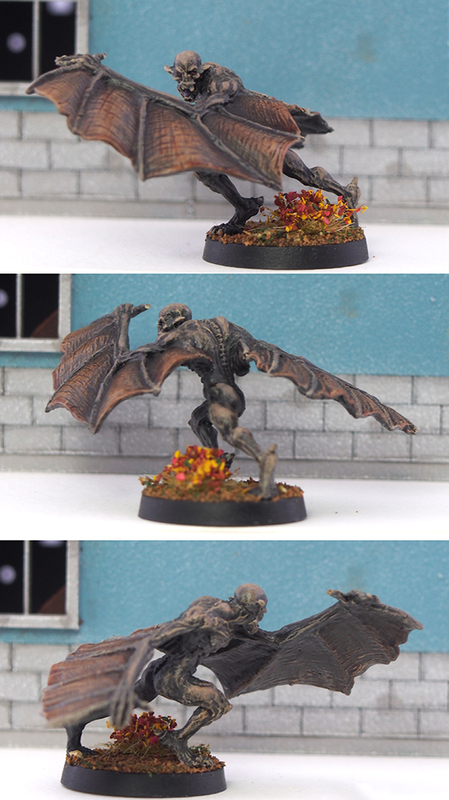 Vampires come in all flavours, and this one from Heresy is definitely one of the nastier-looking ones. 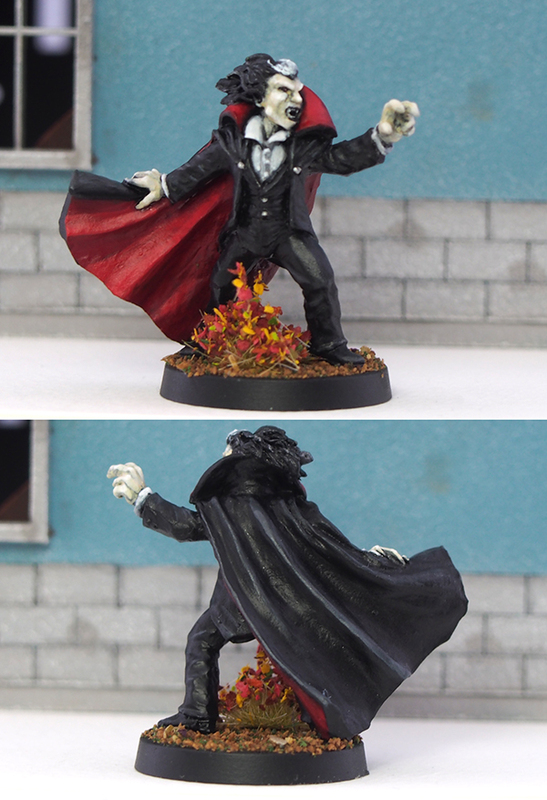 Paul Muller has managed to sculpt one of the nicest vampires around, in my opinion. I gave the mini a really quick paintjob consisting mostly of drybrushing and washes, but I’m still immensely happy with the end result. It looks like a nasty beast, just like I wanted it to. 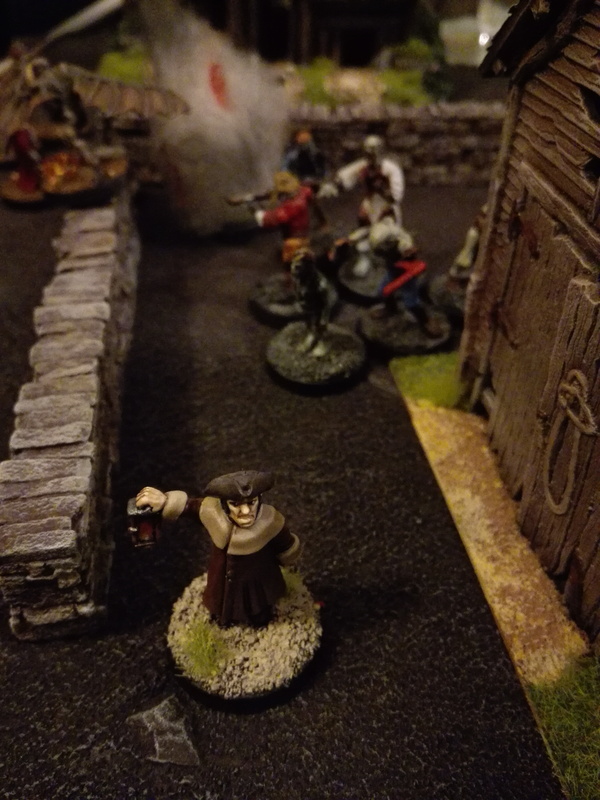 The Halloween game itself was great fun as usual, with vampires successfully eating every single villager before sunrise. 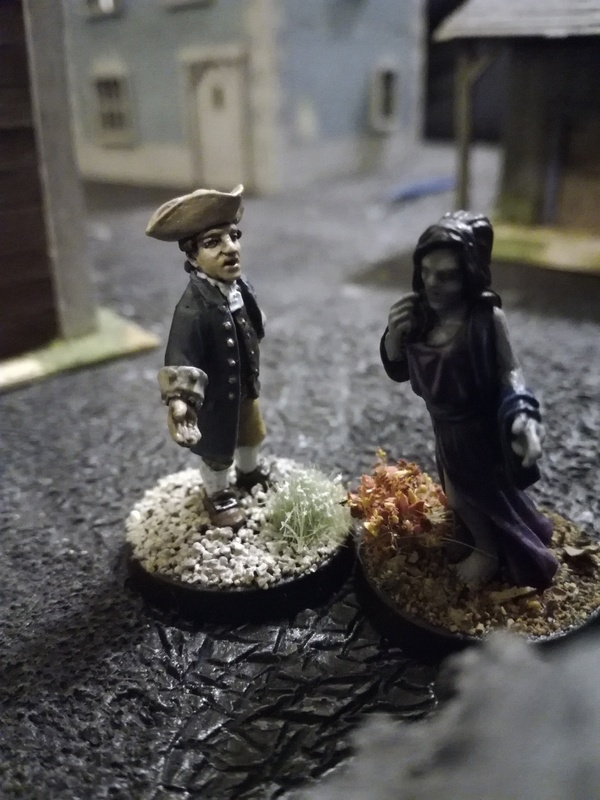 A random selection of photos shows you many of the usual suspects appearing in these Halloween games as well as some of the painted minis showcased above. You can click on any photo to open a bigger version in a new tab. Thanks to the players for the photos! As you have no doubt noticed, the blog has been awfully quiet lately. As I’ve mentioned a couple of times previously, it’s nothing serious – just home renovation stuff leaving me with no space to paint in. All that has now changed! Don’t you just love that pine, the round drawer knobs and the worn, faded tabletop? I know I didn’t! While in their own way quaint and reminiscent of my childhood (this style was quite popular in Finland back in the 80s/90s), I knew they would have to go. 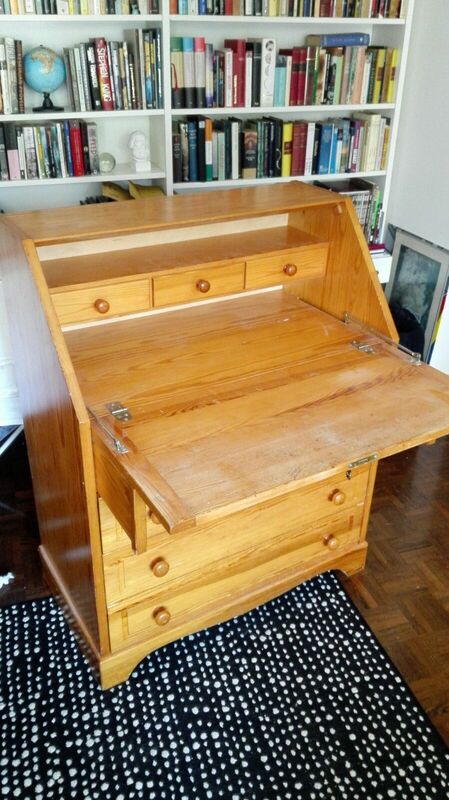 The desk had a thick layer of varnish, which had yellowed over the years, and I wanted rid of that as well. My original plan was to remove the varnish by using both paint stripper and a sander and then to give the desk a new coat of varnish tinted darker brown. This failed miserably. After spending a lot of time with the sanding and paint stripping, there were still a lot of patches where the varnish just wouldn’t stick. I was close to dumping the whole desk at this point. As in so many cases, furniture paint turned out to be the solution. 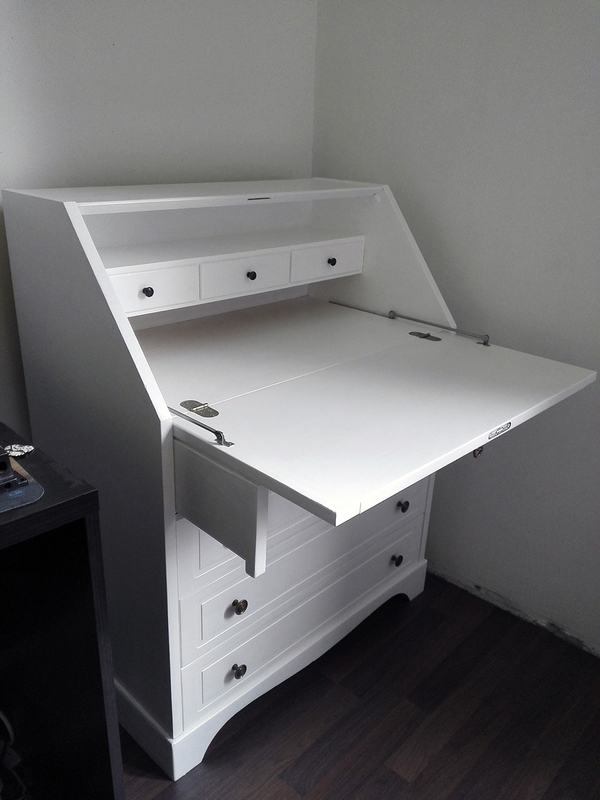 Just white paint over everything, switch out the knobs for some nice brass ones and ta-da! One of the neater things here of course is that when I’m not painting, I can just close the desk to keep my stuff from collecting dust on my (ho-humm) occasional painting breaks. All those lovely drawers nicely hold my extra paints, flocks and other hobby stuff, so I’m really really happy with this solution. 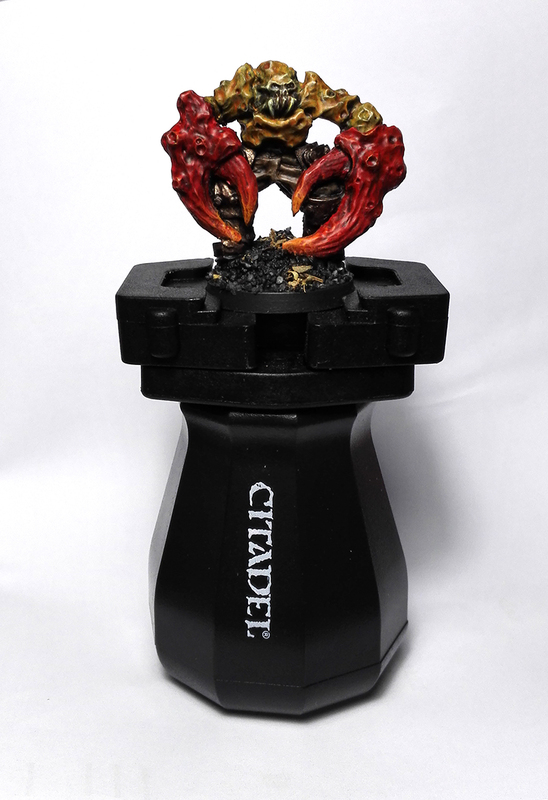 On top of everything, I think it looks pretty gosh darn elegant for a miniature painting table. I even added a couple of actual houseplants! I’ll get back to Sting and Dire Straits now. 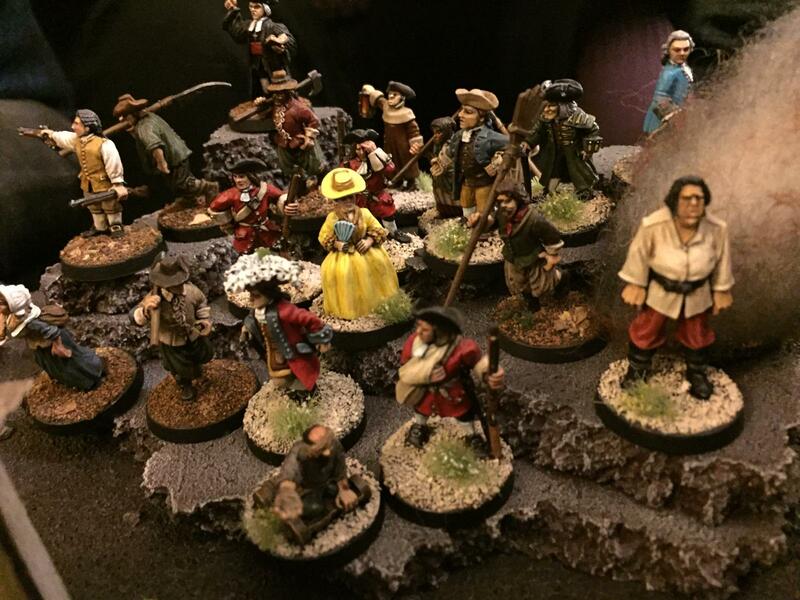 And yes, the “From the painting desk” posts are usually dedicated to miniatures, but how could I resist? Yeah, that’s right. A gamer or a collector? My blog has gained a lot of new regular readers since I wrote this back in 2009. Funnily enough, a lot of this still holds true – except that we no longer have an annual WHFB bash. I decided to reblog this, as it’s still a fairly accurate description of my gaming and collecting mentality, and might be of interest to current readers. Am I ever going to game all those scenarios I’m designing, or use the forces and gaming tables that I’m building for actual gaming? For someone who’s invested a fair amount of money and time in collecting, putting together and painting a ton of miniatures and scenery, this might seem like a strange question. Surely all that stuff has been bought for a reason, and that reason is gaming. 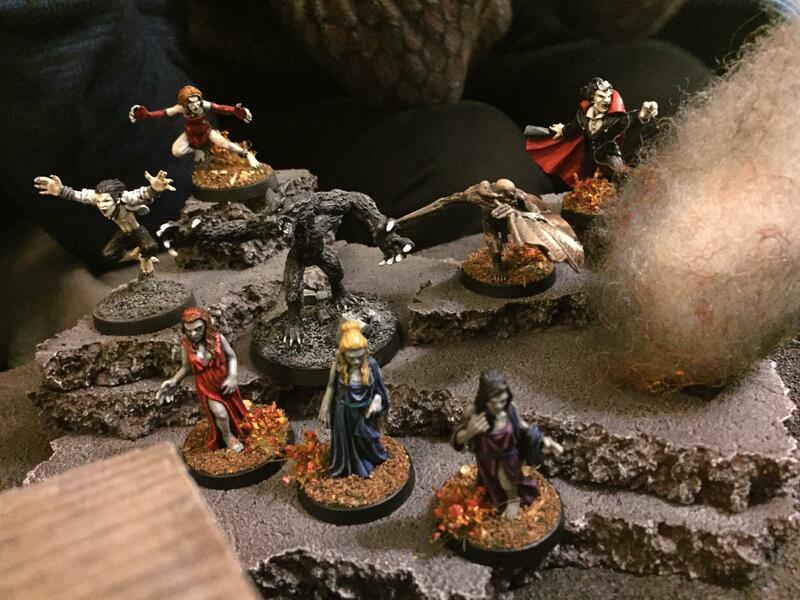 What use is a gaming table if it’s never played on? 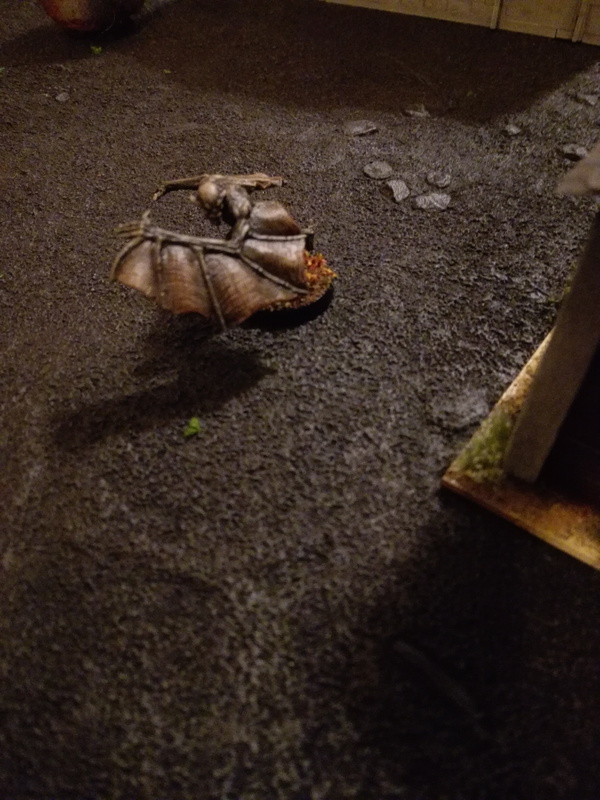 Why pick up two opposing forces if you’re not going to get some dice rolling? Good questions, indeed. Such a long time since my last post! 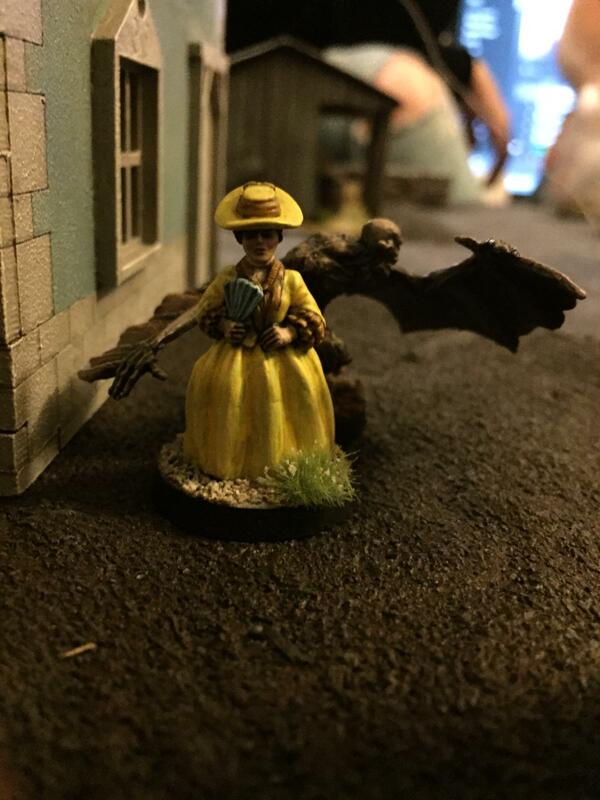 No, this blog is not going under or anything – the combination of home renovations, Emmi moving in and a busy time at work have simply meant that I haven’t had the time (or space) for anything miniatures-related. All this is slowly changing, however, so I hope to have the blog running/walking/lurching again soon. At the risk of sounding like a Slug Industries shill, there’s another sweet Kickstarter going on at the moment. 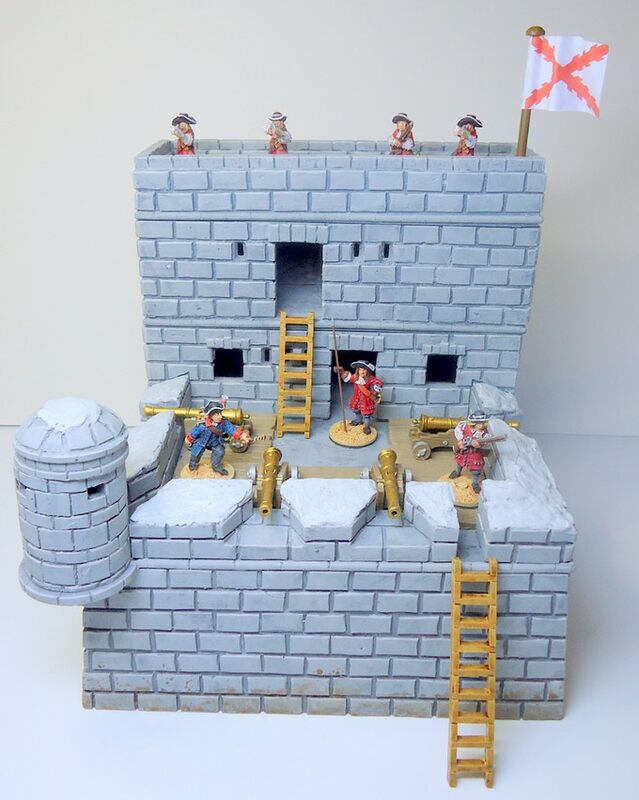 It’s for an 18th century Spanish fort, based on Fort Matanzas. 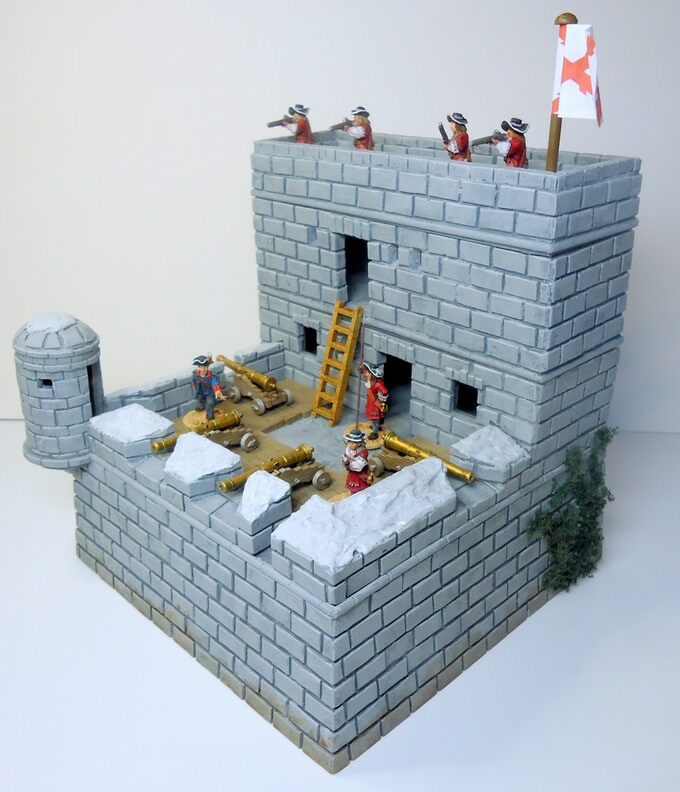 As you can imagine, I couldn’t really miss out on it, so I went in for both the fort and a gun battery. Sure, I already have one fort – which I’ve yet to show by the way – but who’s counting. The combination of these three will allow me to build a fairly formidable fortified town. Maybe throw in a few ships and I see a coastal assault scenario or six in that. Have a look at some more photos and throw some money around! I’m actually writing this post on a train from Dublin to Cork, as I’m on a conference trip. I cleverly picked a conference that’s near casa sho3box, and I’m looking forward to a couple of days of geeky hijinks. I’m transporting a Playmobil ship to him, I kid you not.